The UF College of Dentistry offers a 24-month degree program leading to a Master of Science in Dental Sciences with specialization in Endodontics (Project in Lieu of Thesis option) and a Certificate in Endodontics. The program emphasizes the didactic, clinical, and research aspects of Endodontics. 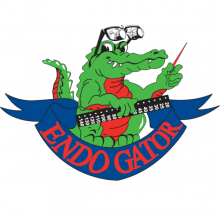 The educational goal of the Department of Endodontics is to develop residents whom will have the evidence based knowledge, clinical skill, attitude to provide patient centered care and engage in lifelong learning. This is a highly competitive program that receives many applicants each year. 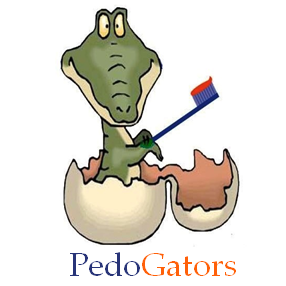 PedoGators, Inc. is a support group of the UF Department of Pediatric Dentistry. Its goals are to sponsor an annual continuing education program, support the department’s residency program activities and develop social opportunities to meet in the future. A high percentage of graduates have joined the association, along with many “friends” including non-alumni practitioners, faculty and current residents and fellows. The goal of this program is to develop periodontists who desire to enter clinical practice or an academic career in periodontics. This is a 36-month program which leads to a Certificate in Periodontics and a Master of Science in Dental Sciences with specialization in periodontics. The program fulfills guidelines set forth by the Council on Dental Education and the American Academy of Periodontology. 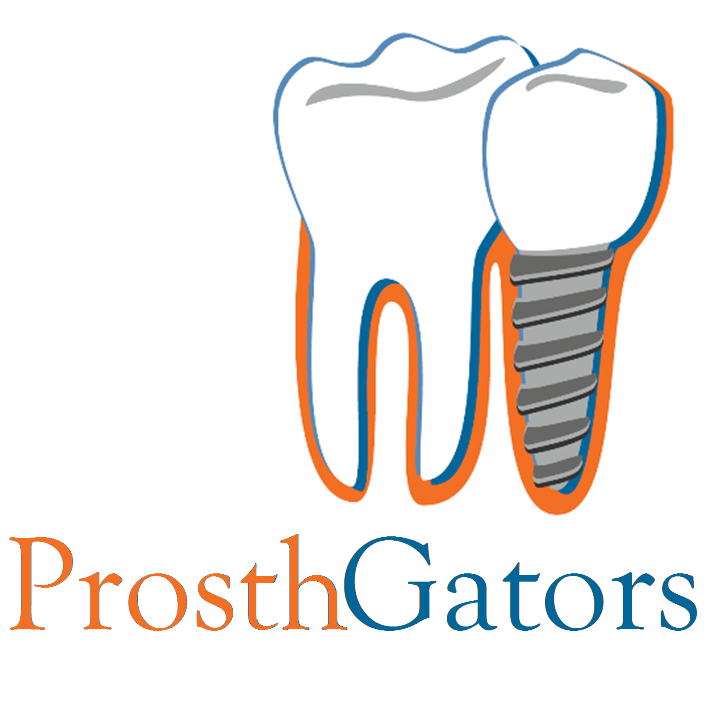 The UF College of Dentistry offers two programs in prosthodontics. One is a 36-month degree program leading to a Master of Science in Dental Sciences with specialization in Prosthodontics (Project in Lieu of Thesis option) which is designed to satisfy the educational requirements of the American Board of Prosthodontics in fixed, removable, maxillofacial, and implant prosthodontics. The other is a 36-month degree program leading to a Master of Science in Dental Sciences (thesis option) with specialization in prosthodontics and a Certificate in Prosthodontics. An interdisciplinary approach is used to facilitate the diagnosis, treatment planning, and treatment of patients. UF Oral & Maxillofacial Surgery in Gainesville offers two advanced education programs: a six-year residency/M.D. program which accepts two candidates per year and a four-year OMFS/non-M.D. degree residency program which accepts one candidate per year. Both programs are fully accredited by the American Dental Association’s Council on Dental Education and follow the guidelines of the American Association of Oral and Maxillofacial Surgeons. Training involves the full range and scope of the specialty. Orthogators, our orthodontic alumni association, is actively involved in supporting the Department of Orthodontics. 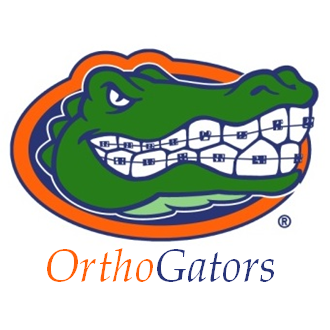 Every fall, alumni and friends gather for our annual OrthoGators meeting for fellowship and continuing education. Recently, nationally recognized orthodontic speakers such as Vince Kokich, Larry Andrews, James McNamara and Anoop Sondhi have been brought in to lecture at this event. Recently, renovations were completed for the graduate orthodontic clinic, turning it into a state-of-the-art teaching facility. This renovation would not have been possible without the efforts of our alumni and we greatly appreciate their support.